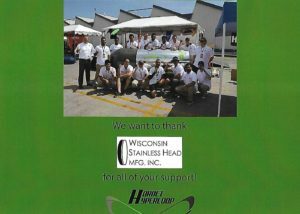 Latest News Archives - Wisconsin Stainless Heads Mfg. Inc. 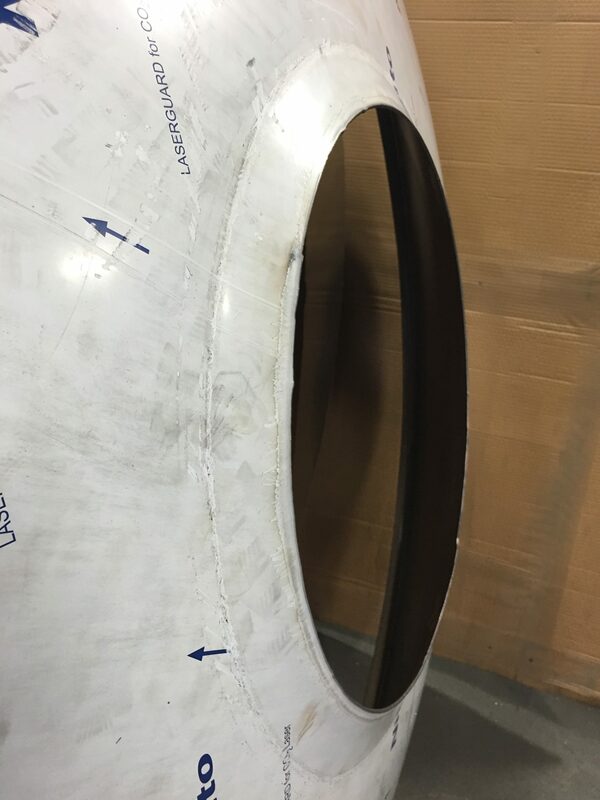 Stainless Steel and Aluminum tank heads and baffles in a hurry? We have added a new area to our offerings. We have noticed an increased need to build tanks in a hurry. Our new page lists stock items due to cancellations. If you are flexible in your size, this might be an option for you. 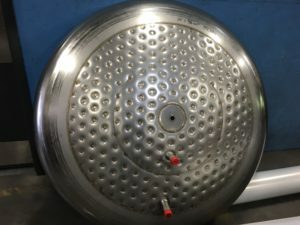 The new page lists the stainless steel tank heads and Baffles as well as the Aluminum tank heads and baffles that we have in stock. These can ship almost immediately. But, we are not selling just the heads from the combo. We are honored to be part of the Elon Musk sponsored Hyper-loop project. 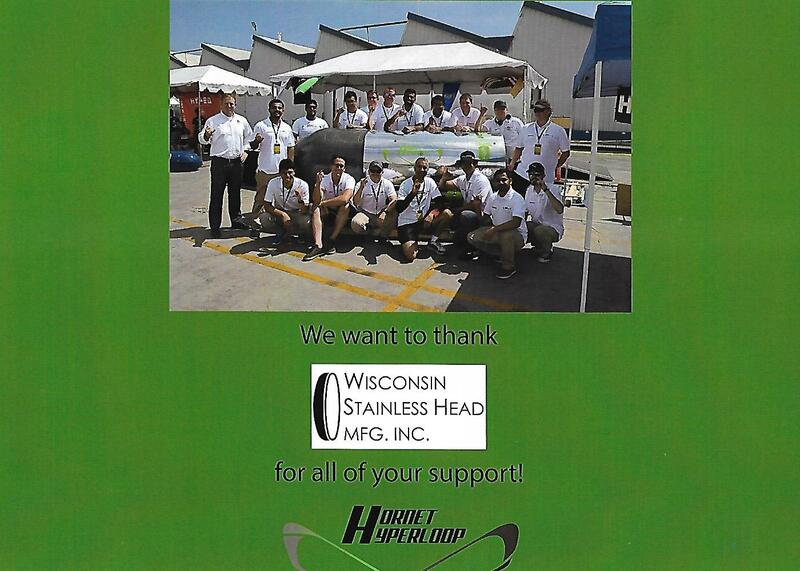 We donated heads to the California State University, Sacramento team. What an amazing project with an amazing team. Keep up the good work! Our Dished and Flared Aluminum tank head design is often times used for internal stiffening heads or surge baffles. 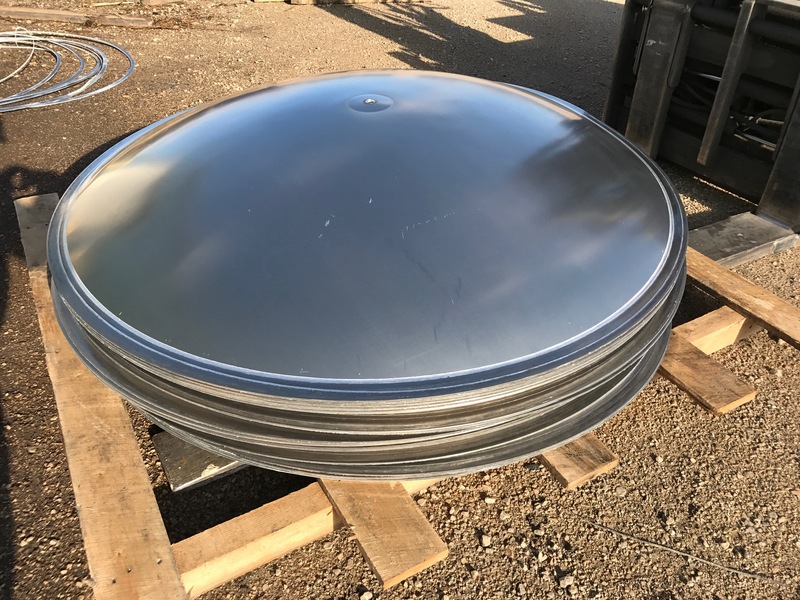 Recently we have done some dished and flared stainless steel tank heads that are lids for vats. They utilize the flat flange area for the seal on the vat or vertical barrel. 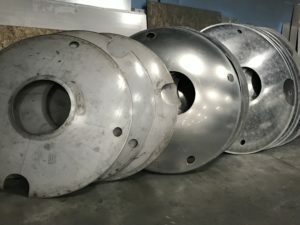 The flat flange area can vary anywhere from 1/4″ up to 3 or 4″. Just tell us what you need. Dished and Flared Aluminum Tank heads prepping to ship. Wisconsin Stainless Head Mfg., Inc. has the dies to press a 20″ manway into Stainless Steel tank heads. 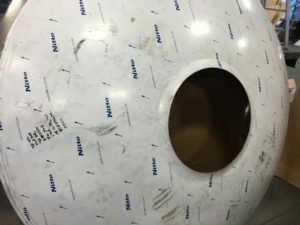 The same tooling can also be used for Aluminum Tank heads. This allows the heads to be used as surge baffles and stiffening heads with out wasting the man hours welding in a ring to put the strength back in the head after cutting the manway. 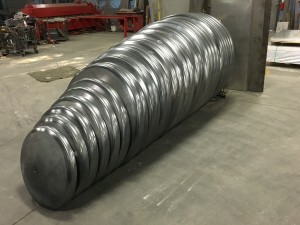 They also allow a large enough opening for visual inspections of the completed tank. 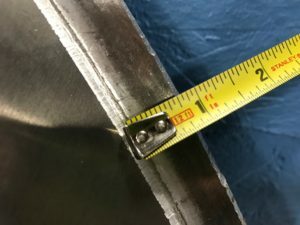 If laserflim is used the dies do not directly touch the material. Close up. 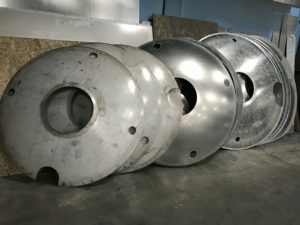 Stainless Steel tank heads with pressed manway. We have just started doing work with Stainless Steel Tank Heads with heat transfer jackets. This is something we have been asked about over the years and we are now able to offer. Aluminum Tank Head… one never knows! After being in the tank head business for 31 years we still get surprised when customers share the end use photos. 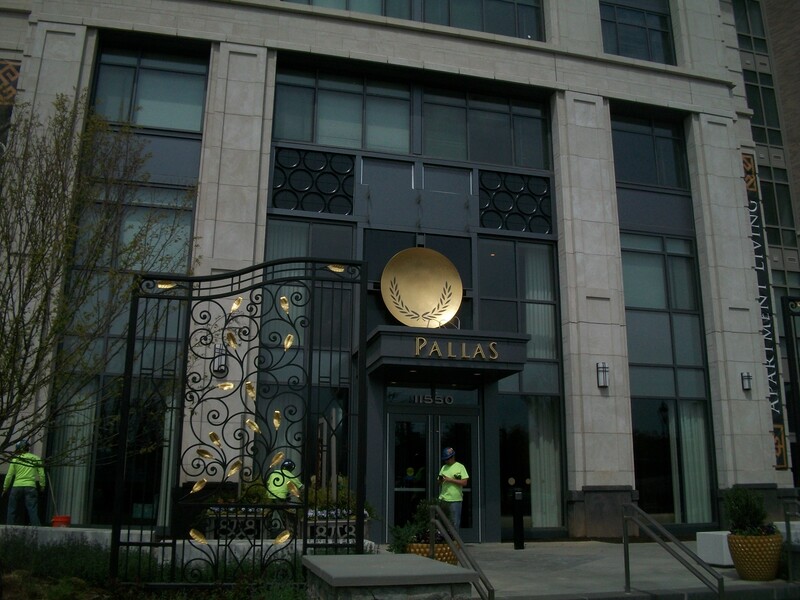 In this instance you can see a 71″ dished only Aluminum Tank Head that we made for the entryway of an urban apartment complex. 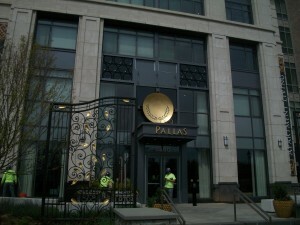 They welded mounting plates to the back and 24k gold leafed the entire dish. Creativity at its finest! 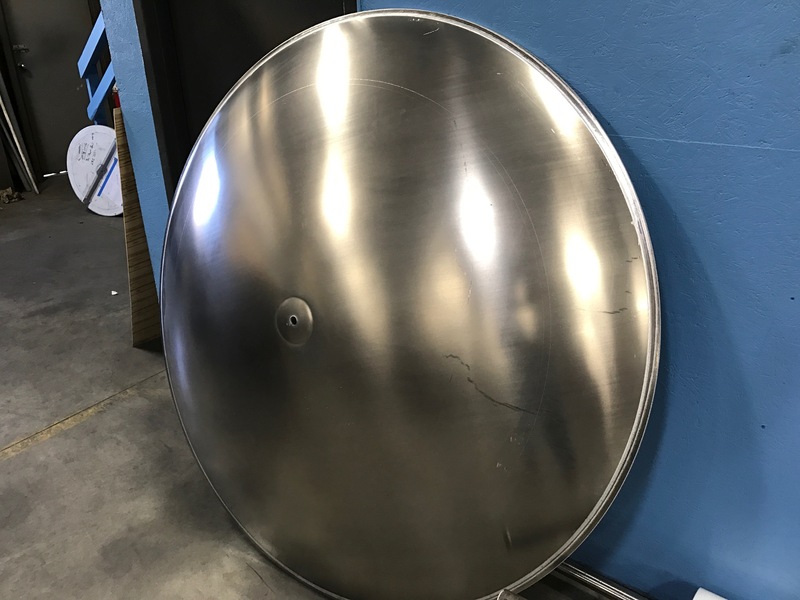 Quality Stainless Steel, Carbon Steel, Copper and Aluminum tank heads start here! 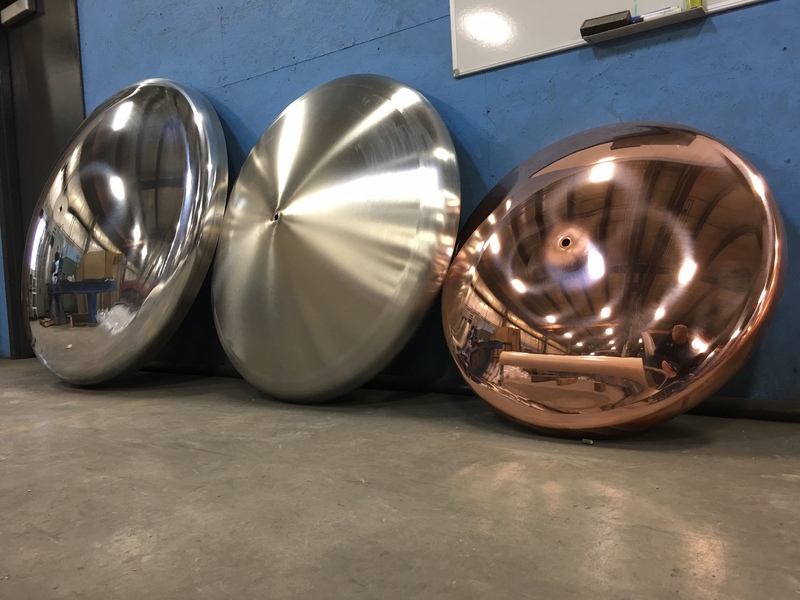 We proudly sell the best quality Stainless Steel, Carbon Steel, Copper and Aluminum tank heads in the industry. Here is where it begins. We are proud to have a great crew. 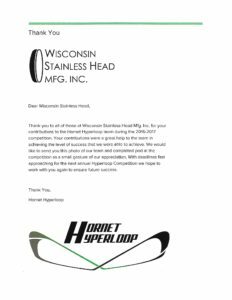 Quality is top priority to each and everyone here at Wisconsin Stainless Head Manufacturing. Every step of our process has quality checks. 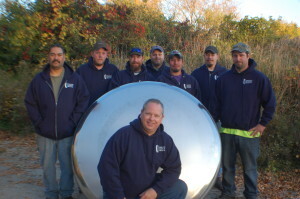 Each of these great guys has inspection duties and they are the reason for our great product. And at the same time are very efficient providing our customers with quick turn around and quality Stainless Steel, Carbon Steel, Copper and Aluminum tank heads. Thank you gentlemen for all you do! 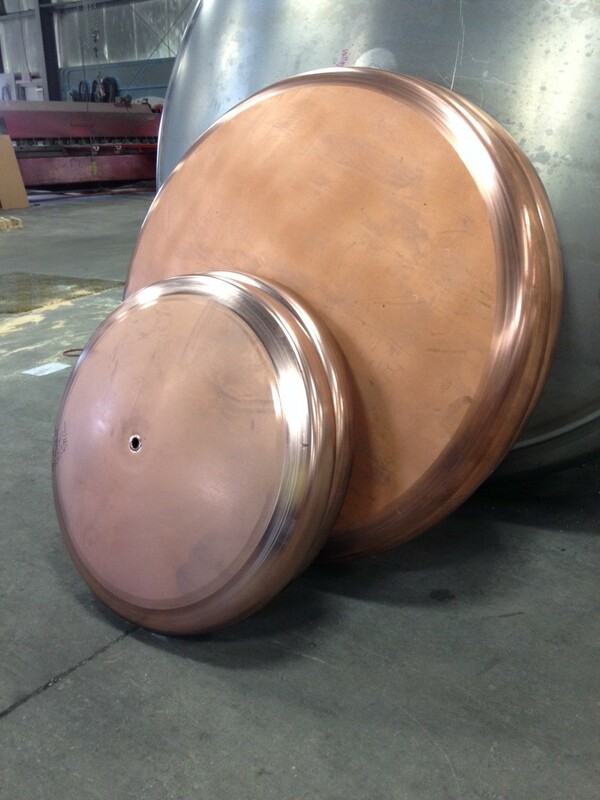 Copper Tank heads ready to ship out. Bring on the green oxidation. It is always nice to be able to try some new things and make a customer happy. This round of copper tank heads used a matte type mill finish copper. The end result with these is to let them turn green as they oxidize. 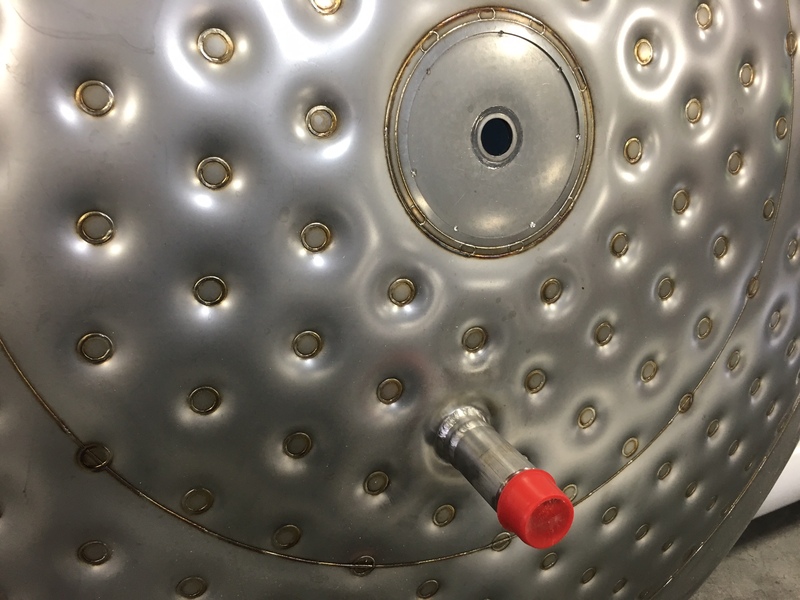 In the end they want the tank to look well used and oxidized green even though it is a brand new distilling unit.